Now that the theoretical aspect has been treated, is time to explore how these newly introduced dependencies in the Sonargraph model can provide valuable information for software architects and developers by answering the questions that were raised at the beginning of these post. 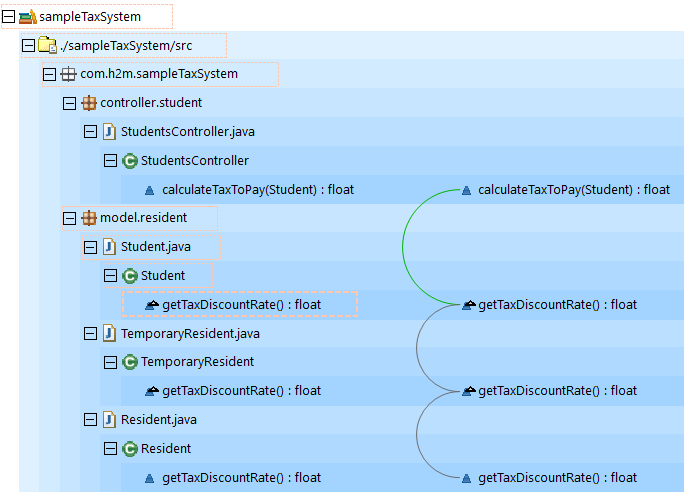 For that purpose, I have developed two Groovy scripts using the Sonargraph Groovy Script API; one that calculates the usages of a method and other one that calculates the overriding hierarchy of a method. At this point, one may wonder why to dedicate a blog post and two scripts to provide a functionality that many IDEs offer out of the box? Well, you will be surprised to know (or may have experienced) that some of the major IDEs out there fail to complete these tasks accurately, meaning that you often miss a piece of information or get false positives in the results. Collect the usages of the method done by using reference to subclasses, implementing classes or subinterfaces. E.g. Given method A.method(), class B extends A and ‘b’ an instance of B, b.method() is a usage of A.method() using a reference to a subclass of A. Collect the usages of the method done by using a reference to superclasses or implemented interfaces. This is a special case since a call to an overridden method by using a reference of a class that is higher in the hierarchy than the object of interest can only be labeled as a potential usage. E.g. Given I.method(), A implements I and ‘i’ an instance of an object that implements I, i.method() is a potential usage of A.method(). It is worth to mention that the newly added dependencies open a lot of possibilities for developers and architects to gain more control over their code. For example, it would be possible to write a Groovy script that detects precisely methods that do not have any usages at all and creates issues for them to be later removed. The sample source code is not a production-ready code and is not intended ever to be. It is just a small piece of sample code for demonstration purposes.